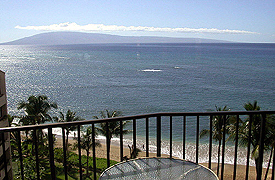 Maui Beachfront condos - One Bedroom Beachfront Rental Condos - Valley Isle Resort. 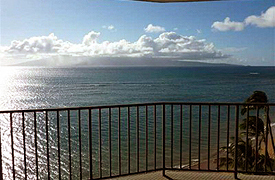 Magnificent 270 degree view from southern mountains past Lanai, Molokai, and north to Napili. Fully upgraded with tile, plush carpet. King bed in oceanfront bedroom, queen sofabed. Complete kitchen including washer and dryer, TV/VCR/DVD, CD player, phone, answering machine & free wireless Internet. HAVE IT ALL! 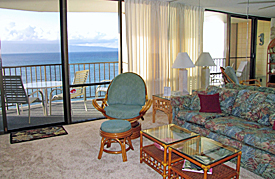 Oceanfront, sandy beach, spectacular sunsets and whale watching from your lanai. Sleeps four, king bed in bedroom; new, quality queen wall bed in living area. Enjoy FREE WIFI, TV/DVD. Complete kitchen, including dishwasher, washer/dryer; all amenities of home. 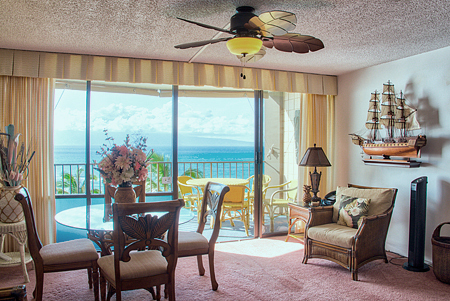 Breathtaking ocean views; fabulous sunsets; tropical breezes; private lanai; gentle sounds of waves lulling you to sleep in your kingsize bed; new, full kitchen; washer/dryer; Free WiFi; VCR/DVD; CD/cassette; queen sofabed. 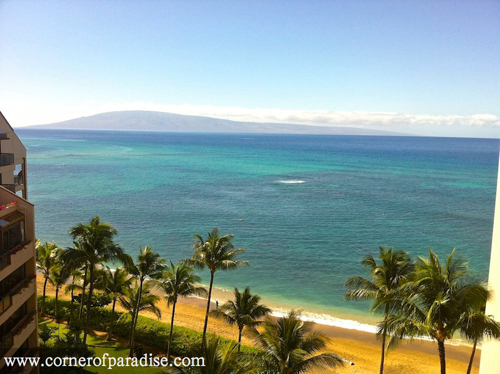 All the amenities for a perfect stay in paradise! 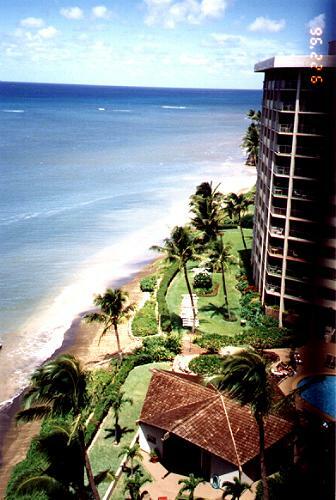 Beautifully decorated remodeled 1 bedroom oceanfront corner unit 25 feet from water's edge providing maximum privacy and viewing. 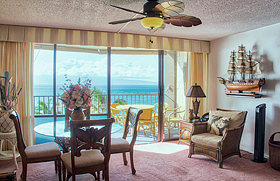 Completely equipped kitchen, washer/dryer, cable TV, DVD, queen sofa bed, king sized bed with spectacular views of Molokai Lanai, sunsets and whales. What a view! 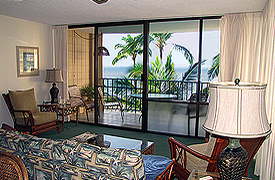 Watch the beach, whales and beautiful sunsets from a large private lanai. 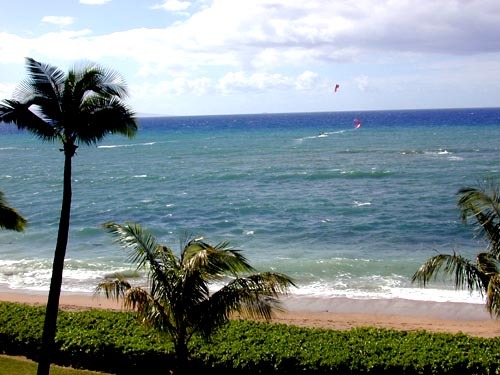 This oceanfront, newly renovated one bedroom condo comes complete with full kitchen, dining area and fully equipped living room. 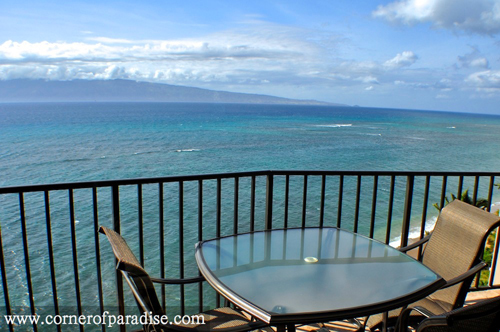 Enjoy the exceptional privacy of this immaculate corner unit, the Valley Isle penthouse; Sleeps 4, 5 night minimum; Lanais off the livingroom and bedroom offer spectacular views; Fabulous sunsets and whale watching; Complete kitchen facilities. 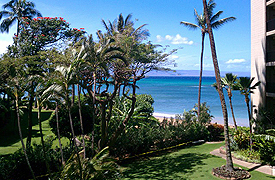 Experience Maui's most spectacular ocean and mountain views from our Corner of Paradise. 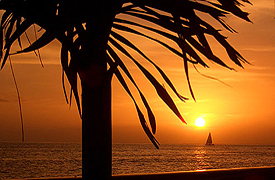 Sleep with tranquil sounds of ocean waves at your feet. 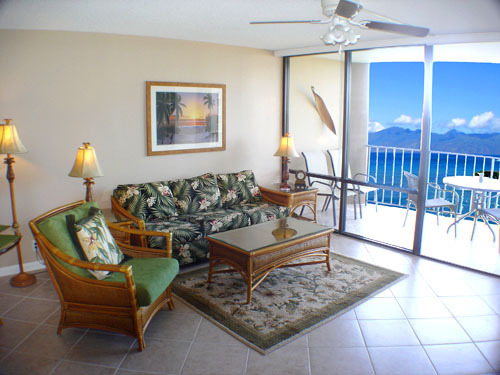 This luxurious 1 bedroom corner unit sleeps 4 and has all the amenities of home. Quiet Condo on the 8th floor. 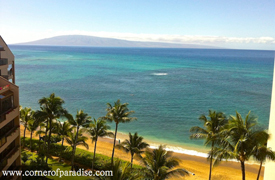 Fabulous views of the ocean and the islands of Molokai and Lanai. Newly refurbished and tastefully decorated. King size bed and queen sleeper sofa. Fully equipped. Free high-speed internet, TV/VCR/DVD. 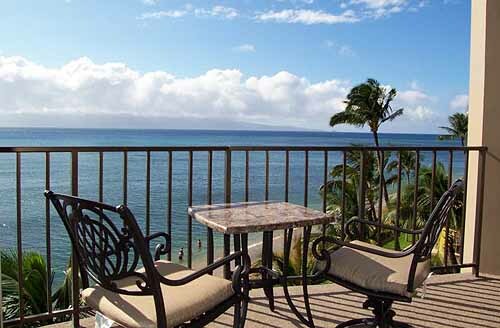 Hololani in Hawaiian means "Gone to Heaven" and you will think you have, once you have seen the panoramic ocean view and spectacular Maui sunset from your very own lanai. 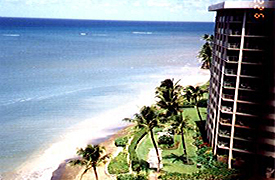 Spacious corner beachfront condo. Completely furnished with all the amenities of home. Completely remodeled & upgraded corner unit. 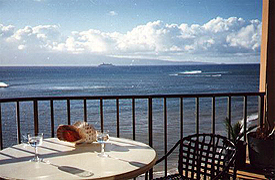 Great views of ocean, beach, mountains, and island of Lanai. Furnishings include 2 TVs, VCR, CD/stereo, washer/dryer and microwave. Comfortably sleeps 4, with Cal-King bed in bedroom and pull down Queen size Murphy bed in living room. FREE WIFI! 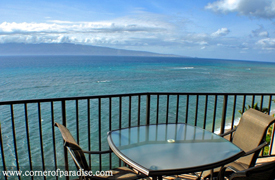 Paradise awaits you from this beautiful corner one bedroom condo. 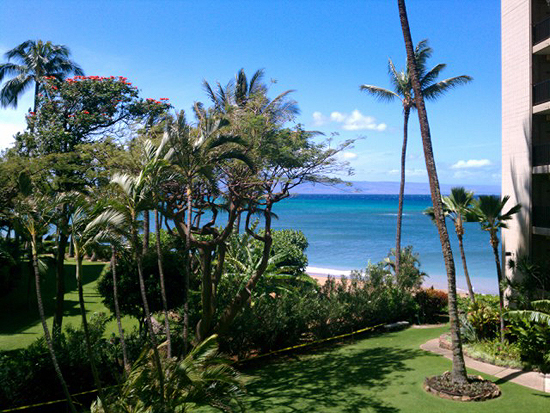 Whether sitting on your lanai and watching the ocean, or strolling on the peaceful white sand beach, it is right outside your door. Fall asleep to the gentle surf, and wake to the beauty of the Pacific from your bed. Corner unit romantic getaway. Enjoy panoramic views of the ocean and the islands of Lanai and Molokai. Oceanfront bedroom with king-size bed. Sound of the ocean rocks you to sleep. Nicely furnished and fully equipped. High speed Internet. TV/VCR/DVD. Enjoy the sights and sounds of the ocean from BOTH the bedroom and livingroom of our professionally redecorated corner unit. Comfortably sleeps 4 (King bed and Queen sleeper sofa). All the extras plus binoculars, DVD player, CD/tape, beach chairs. 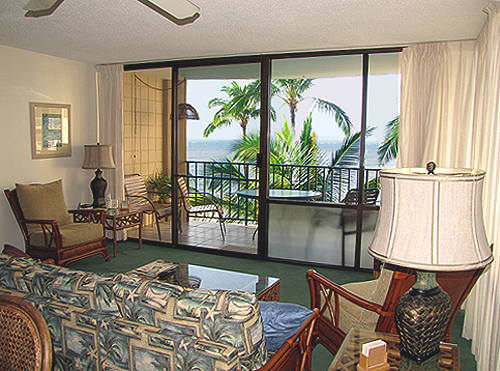 Enjoy the sights and sounds of the ocean from BOTH the bedroom and living room of our newly remodeled corner unit. Comfortably sleeps 4 (King bed and Queen sleeper sofa). First Class accommodations plus binoculars, flat screen TV, DVD player, beach chairs. 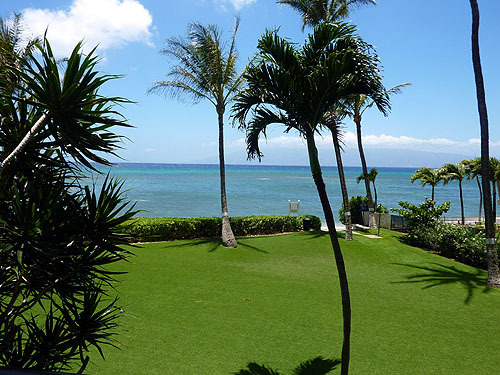 Breathtaking garden, ocean and Lanai views�91 steps to the beach. Newly decorated, Westin Heavenly Cal King bed, queen sleeper sofa, free internet, 42�� LCD TV, BlueRay, washer/dryer, microwave, and more. 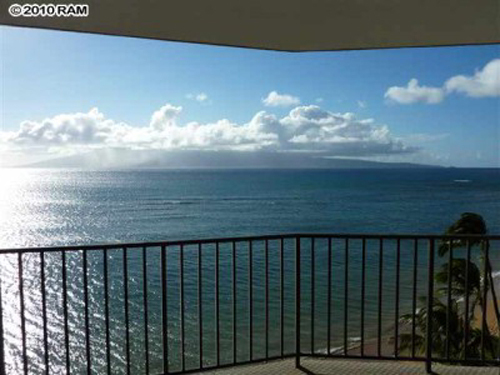 OCEANFRONT condo with unobstructed views of ocean, Molokai & Lanai. Right on sandy beach, private lanai for morning coffee, sunset dinners and whale watching. 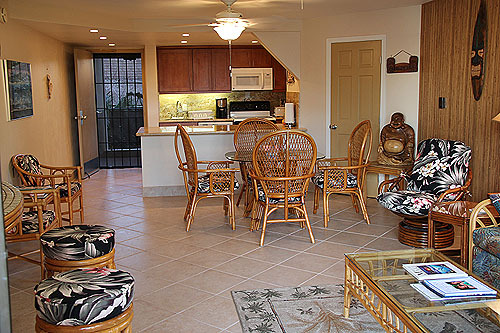 Totally remodeled, all amenities including fully equipped kitchen, washer/dryer, Cal-King bed, free WiFi & cable TV. 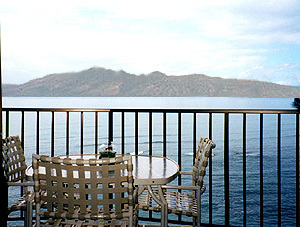 Parties of two only~ perfect for Honeymoon or Anniversaries. 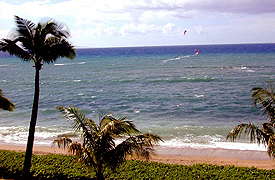 Enjoy the island feeling with expansive Oceanfront island views, rolling surf, and romantic sunset dinners on the lanai. 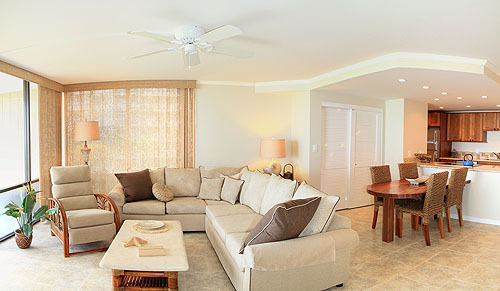 Relax with island d�cor, a spacious kitchen, and all tiled floors. Cal-King bed, convenient washer/dryer, queen sleeper sofa, free internet, cable TV. 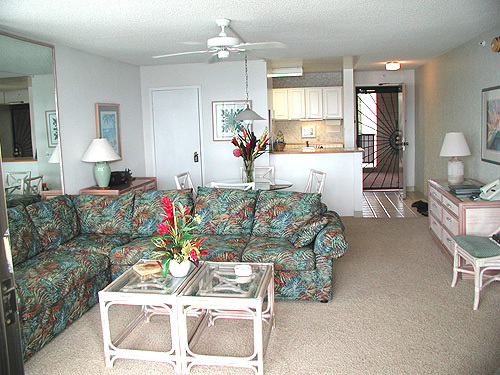 Amazing deluxe oceanfront condo recently remodeled. 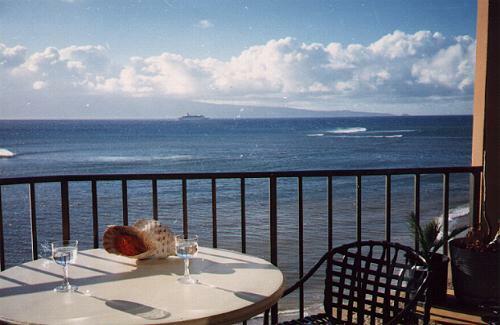 Enjoy spectacular sunsets from your lanai. Fully equipped kitchen; spacious master bedroom; large living and dining room; beautifully decorated; washer/dryer; 2 color TV's; VCR; CD/Cassette/stereo. NO KA OI! 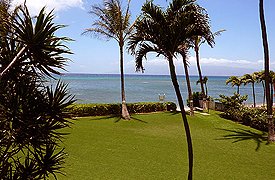 Romantic oceanfront, totally remodeled, corner, front bedroom unit. 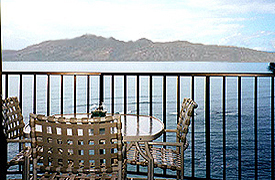 Honeymooners & Anniversaries are our specialty. Couples only. Amenities: free internet access. Big screen TV, DVD, VCR, surround sound & 200+ movie library. 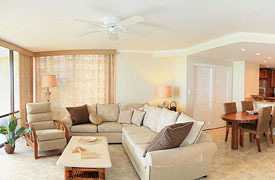 Comfy like home with tropical breezes and soothing surf. U will return again and again! 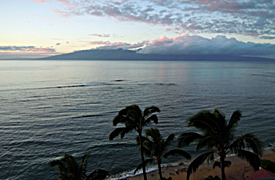 Wake up and peek between your toes to view the contoured slopes of Molokai. 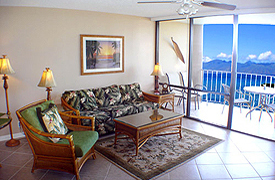 This tastefully decorated corner oceanfront condo featuring two lanais will be your "home away from home". Full kitchen. All the amenities. The only thing missing is you! 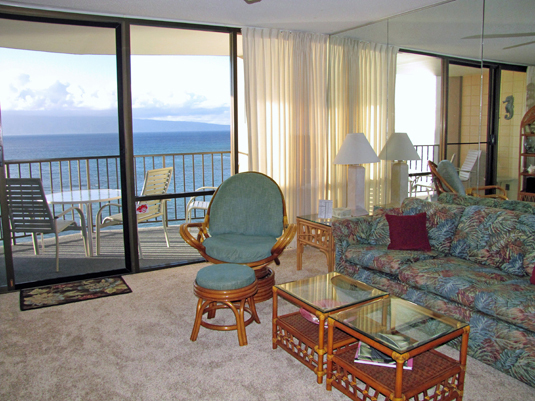 Recently remodeled, this deluxe oceanfront condo features all new kitchen appliances with washer/dryer, color cable TV, VCR, stereo with dual cassette/CD changer, private phone, private balcony and large master bedroom. 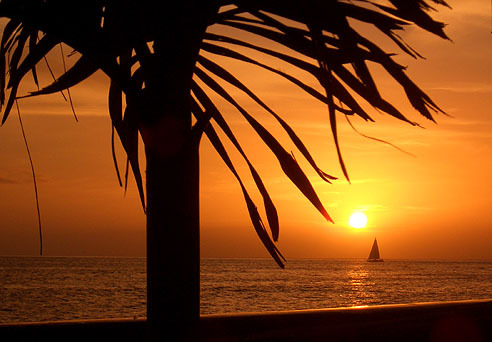 Paradise is calling you! 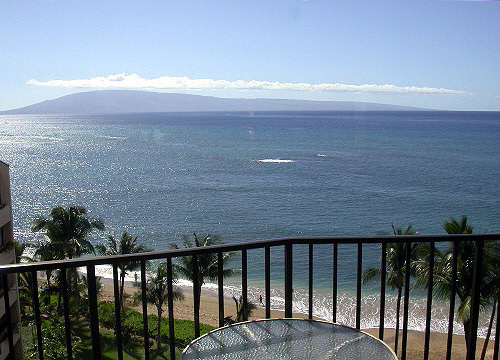 Gorgeous oceanfront Remodel - Breathtaking views & sunsets of Molokai & Lanai�i. Island d�cor furniture. 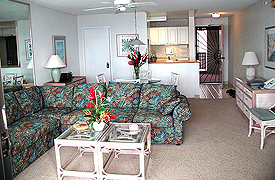 Full kitchen w/all amenities: washer/dryer, 2 HDTVs, 2 phones, DVD/VCR/CD, Free WiFi. 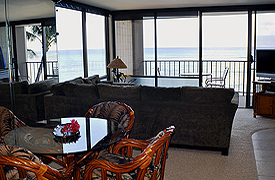 Sleep on King bed or queen Murphy bed overlooking ocean. 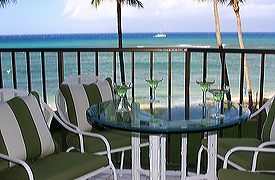 Watch whales play or just relax forever on our oversized lanai.